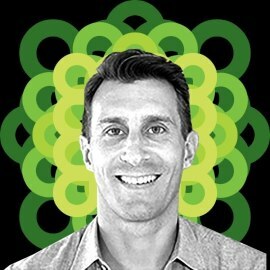 Ben Plomion is responsible for brand management, integrated marketing programs and corporate communications at GumGum. In representing GumGum to the wider digital ecosystem, Plomion is a contributor to Forbes, Adweek and Adage, as well as a regular speaker at industry events like Advertising Week and OMMA. Before joining GumGum he held a variety of marketing leadership positions at General Electric, where he helmed the company’s global digital media practice. Plomion is a French native and a graduate of GE’s Experienced Commercial Leadership program and McGill University’s MBA program. He lives in Venice Beach with his wife and son, and is an avid surfer and skateboarder. Ever wonder why some marketing campaigns fail, and some succeed? Or why red lipstick is more popular in times in economic depression? Attend this session to change the way you think about color, light, and design in your marketing campaigns. Remove the guesswork by learning the science of color to supercharge your content marketing campaigns with counter-intuitive truths rooted in the latest neuromarketing. Attend this session to learn…. •How a single orange pixel on Instagram "stopped the internet"